For those who do not mind the annoyance of advertisements right in the middle of a conversation, a team of engineers in Bangalore has a free voice calling service for any part of the world. 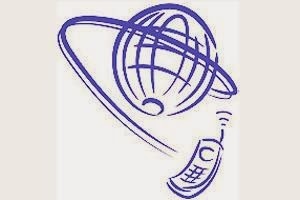 Termed FreeKall, it brings voice-over-internet-like services to those without internet access. "The response has been phenomenal. Our servers crashed about seven times and we had to bring it back up," said Yashas Shekar, a 23-year-old who cofounded the company with college-mates Vijayakumar Umaluti and Sandesh Eshwarappa. "On the flip side Sandesh, and Vijayakumar have not slept since Saturday," chuckled Shekar, a former Godrej Interio employee who shut his first venture, a web development firm, to concentrate on this startup. "I must say, someone has thought out of the box. This can be truly disruptive if it works out well," said Hemant Joshi, who oversees the telecom practice at consulting firm Deloitte. FreeKall has received 10 lakh in seed capital from Ranjith Cherickel, a telecom professional who has worked at Nokia Siemens Networks, Verizon Wireless and Skype. "I expect them to expand internationally in less than a year. This will work well in developing countries and potentially in high-tariff developed markets," said Cherickel. "The company should move fast in terms of engaging with advertising networks and digital agencies and consider how best to get IP protection. A lot depends on them showing value to advertisers by profiling users accurately and delivering relevant targeted ads," said Ravi Gururaj, chairman of Nasscom Product Council. Shekar knows that smartphone adoption and internet connectivity will only increase. "But it's not going to happen in the next five years at least. By then, we would have captured a big market," he said. "Those who use this service will mostly be prepaid users, and the average revenue per user is small enough."